I've just made it to the Bentley Drivers Club (NSW Branch) Xmas in July function. It's at the Briars Country Lodge in the Southern highland of New South Wales. I arrived late as usual, and missed the days functions. 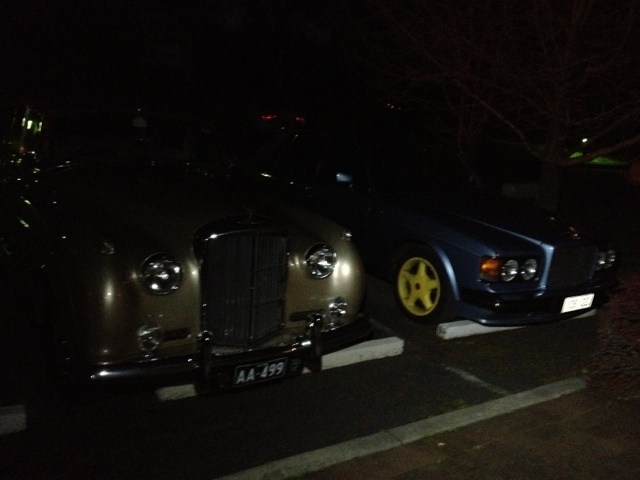 There are a few Bentleys in the car park. A W.O 4.5L, a Continental R, a S2 and my Turbo R.
I arrived as it went dark so photos are a bit slow. I'm sure I'll take more at tomorrows functions. 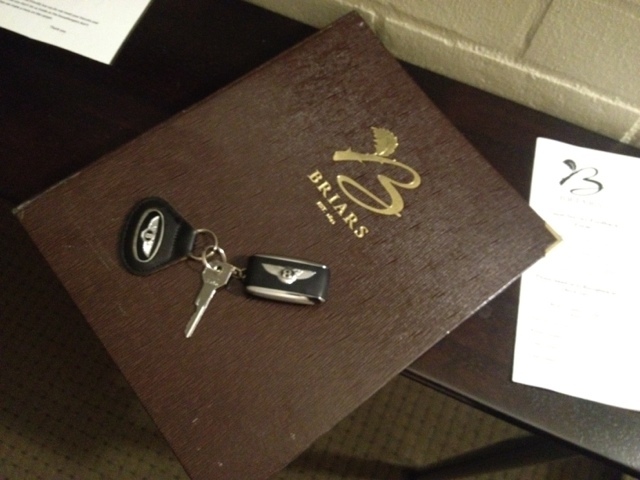 Great to have Bentley spotting join BDC at this event, always wonderful to have Bentley lovers join us.